Peregrine is a Client-Centric boutique investment firm. Our primary focus is on satisfying the needs of our clients, and our decision-making is driven by what is in their best interest. 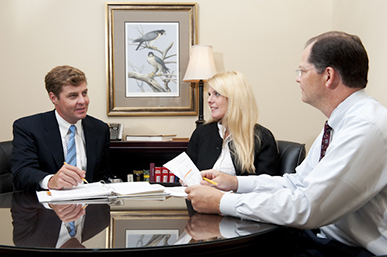 Simply stated, we strive to put our clients at the center of everything we do. Clients should expect to receive open and honest communication and to be treated as if they were partners. Success is also a motivating factor in how we conduct our business. At the 2010 Berkshire Hathaway Shareholder Meeting, Vice-Chairman Charlie Munger suggested that some people are predictably successful because they care more about doing things right, they try harder and they impose a greater level of discipline on themselves. We will continuously remind ourselves of these important qualities. Treat clients the way we would expect to be treated if our roles were reversed. Earn the trust and confidence that clients show in us. Be passionate about our work, and commit ourselves to excellence. Pursue continuous learning, and seek constant improvement. Think independently, and don't seek comfort from the consensus view. Understand our limitations, and stay within our circle of competence. Admit our mistakes, and take measures to avoid repeating them. Set realistic expectations, and try hard to deliver on them. Make decisions as if they will be open to public inspection. Operate with integrity, and never compromise the reputation of the firm. What clients will not find at Peregrine is a culture built on salesmanship. We will not tell potential clients what they want to hear just to earn their business. We are focused on being rational, long-term investors, and we are content with the idea of building wealth methodically over time. Asset gathering is not an area of emphasis. Our objective in instilling this culture is to build a stable client base with whom we can share long, prosperous relationships.